This match ran fine most of the time, save this glorious stuttering moment. 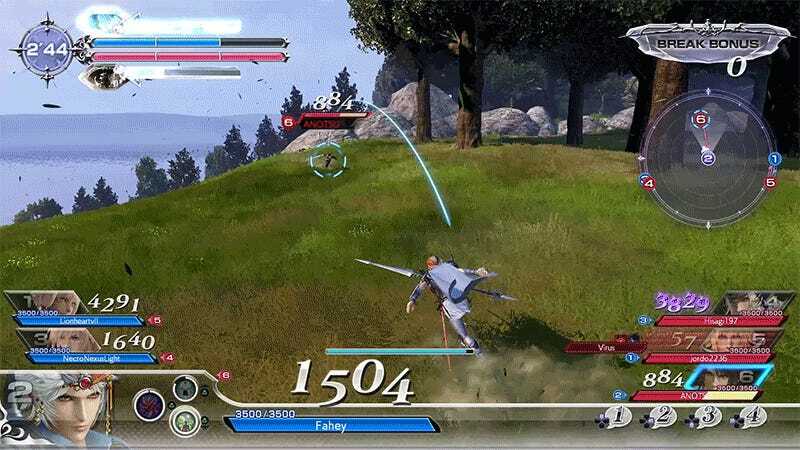 Dissidia Final Fantasy NT is a fast-paced three-on-three arcade combat game featuring characters from Square Enix’s beloved role-playing franchise, coming to the PlayStation 4 early next year. It’s currently in closed beta, where players are enjoying some spectacular lag. First, take a look at this early practice match against AI competitors. I’m still getting the hang of the game, but it’s a good indication of how fast and fluid it should run once the game launches in January. And here’s one of my first online matches. I’m playing Final Fantasy XI’s Shantotto. There is a slight chance the lag was caused by how adorably mean she is, but probably not. The game valiantly attempts to keep up, and manages to not outright stop when the opposing team summons Shiva around the 03:15 mark, but for the most part this match was unplayable. Poor Shantotto, tossed about the stage by forces beyond her control. She deserves it. A fine selection of fantasy fighters right here. Why the lag? Well, for one this is a limited closed beta test, which is the perfect place to iron out issues like random, crippling lag. The test is meant to give developer Team Ninja an idea of how things will run and what needs to be changed in order for them to run as it should. They’re bringing together six players (three on each team) from different regions and trying to let them move extremely fast while shooting tons of special effects all over each other. On the occasion I get into a lag-free match, I really enjoy Dissidia’s online battles. It’s characters I love doing battle with each other while arrangements of some of my favorite video game music play in the background. I look forward to playing the release version, once the connection issues are ironed out. Dissidia Final Fantasy NT is due out on the PlayStation 4 worldwide on January 30.